Elemental ~ Jewelry With Substance: Black Friday Sale at ELEMENTAL JEWELRY! This Friday is Black Friday, and the 60L Weekend group is having a special sale for the occasion. 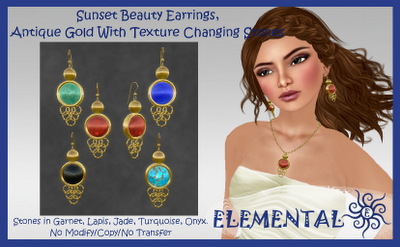 At ELEMENTAL JEWELRY, you can grab the latest release--Vintage ~ Ava Silver Necklace or Earrings for only L$60 each. 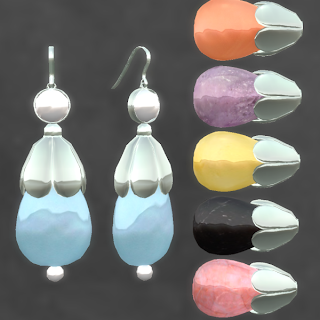 This set has texture changing stones in Rose Quartz, Blue Topaz, Peach Moonstone, Amethyst, Yellow Sapphire, and Tourmaline. 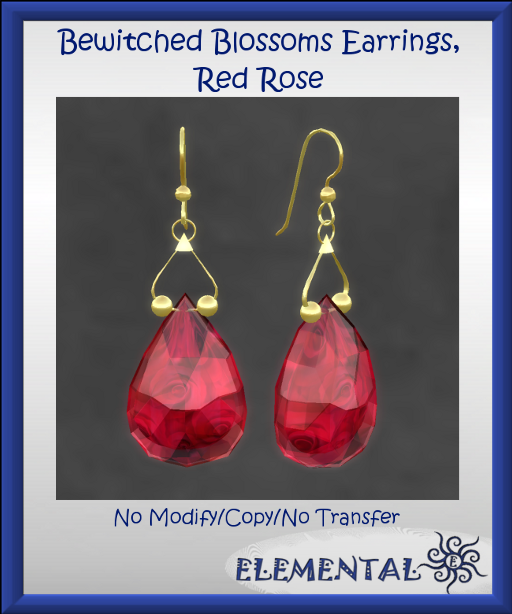 Also on sale for Black Friday: The Sunset Beauty Necklace or Earrings--gold with texture changing stones in 5 choices, and the Bewitched Blossoms Necklace or Earrings in Rose Red--a perfect choice for your red holiday wear. Skin: Glam Affair Layla D.
Hair: Waka & Yuki 53 New. I'm line dancing at the Mocambo Club with my friends Azucena Villota (in the green) and Gabriell3 (in the blue).